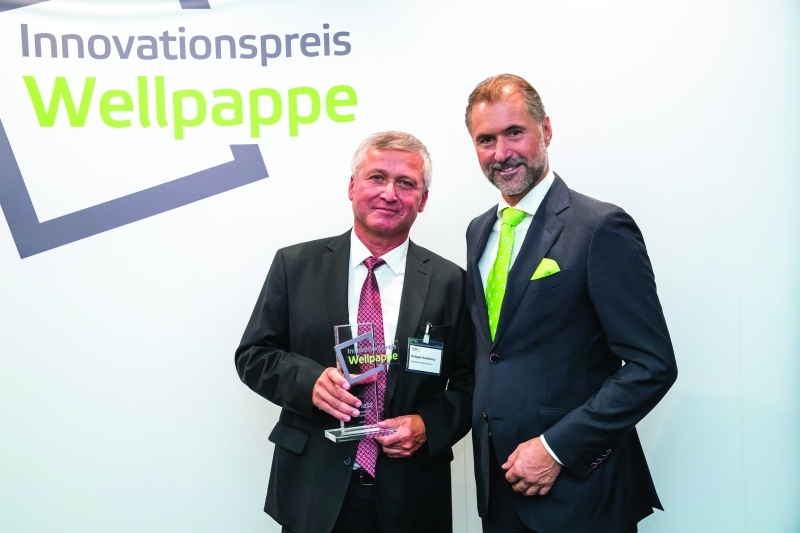 During the award ceremony at the Forum Wellpappe platform of 26 September, the Zentis display titled ‘New Harvest’ from Gissler & Pass won the third place trophy of the ‘Goldene Welle’ 2018 innovation award, which is sponsored by the Association of the German Corrugated Board Industry (VDW). Together with its customers Zentis and L’Oréal, the packaging expert had already picked up two silver Indians at the POPAI awards 2018 in the summer of this year. 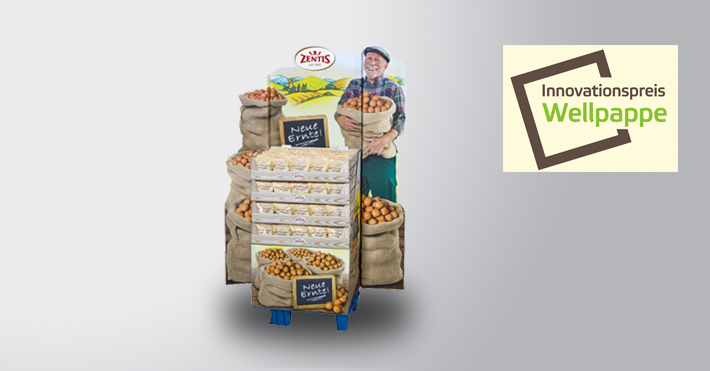 The creative design of this second-placed offering, with embossed wings and the association with real potatoes with the theme ‘New Harvest’ surprises customers in a clever and congenial way, and delivers an emotional response, leading to impulse buys. The sophisticated product holder on the embossed rear panel allows the fitted ¼ Chep Display to be transported safely and securely without the need for cushioning or protrusions. The campaign was very noticeable, as it was placed in unusual places for confectionary – in the fruit and vegetables section, for example – and was so successful that it will be (was) repeated in the spring and autumn of 2018.